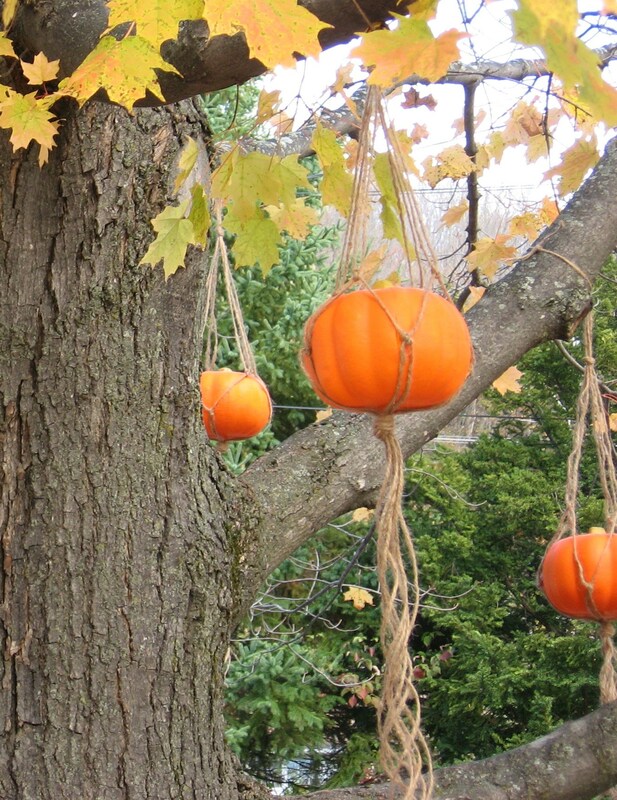 I saw a great pumpkin hanger on a website call Fall For DIY. It’s super-easy (and fast) to make. 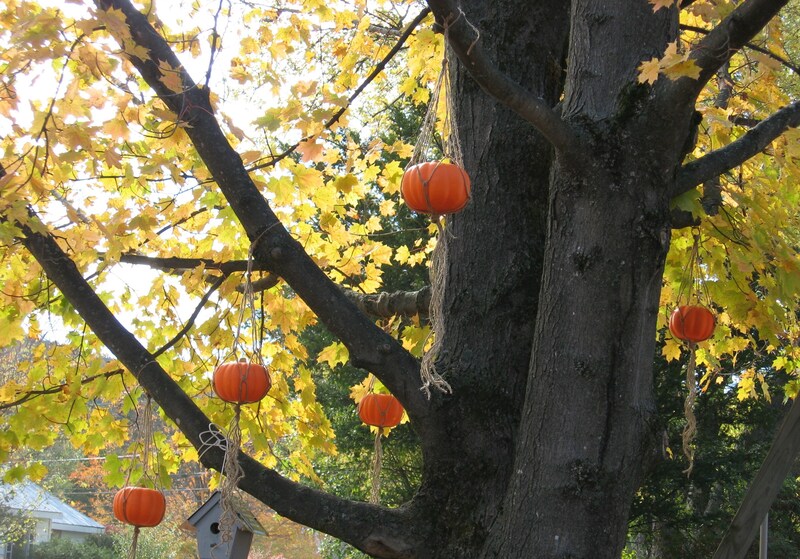 I envisioned a handful of pumpkins hanging from the tree in my front yard. I found some fake pumpkins at the dollar store and used some jute that I had on hand. It took me less than five minutes to make each hanger! Rather than trimming the bottoms of the hangers, I left the bottoms with rough ends. I like the way they look left long and the ends different lengths. They have more of a rustic look. If you want to know how to make these hangers, just visit the Fall For DIY website for the tutorial. This entry was posted in General Crafts and tagged Autumn crafts, macrame, pumpkin crafts.